A NEW step in office building construction has been marked with the completion of a new 34-story skyscraper in New York City. 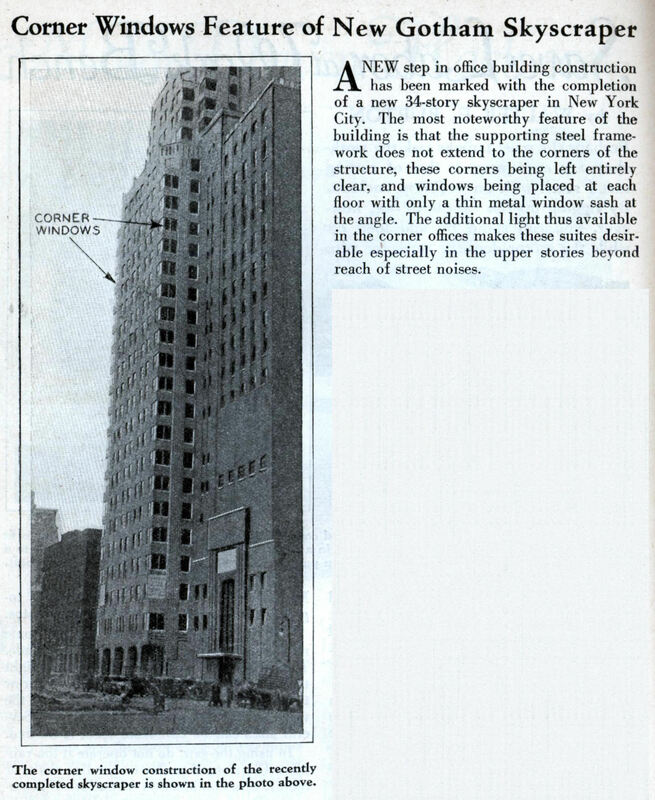 The most noteworthy feature of the building is that the supporting steel framework does not extend to the corners of the structure, these corners being left entirely clear, and windows being placed at each floor with only a thin metal window sash at the angle. The additional light thus available in the corner offices makes these suites desirable especially in the upper stories beyond reach of street noises.